Kissimmee is one of the fastest growing areas in Orlando, but even with such an explosion of new construction and an influx of people to the area, rat infestations in residences are still possible. Preventing these invasive critters from taking over your home is critical to the well-being of your property and the health of your family. One of the keys to preventing damage to your home in the event of a rat infestation is to get help as soon as you notice signs of their activity. Even a small group of rats can grow into a large infestation quickly, and though there is a wide range of DIY rat elimination products available, it is always most effective to leave the job to a professional. Because of their ability to reproduce quickly, rats can be nearly impossible to remove on your own, and can even become aggressive if they feel cornered or threatened. If your Kissimmee home has been invaded by rats, count on the team at Critter Control® of Orlando to restore peace in your home. 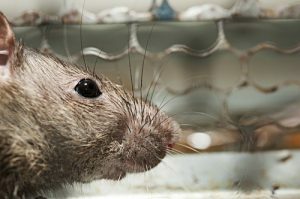 After we remove the rats using our exclusive removal process, we can repair any damage the critters may have caused during their stay, and safeguard your home against future infestation. Call us today at 407-295-7194 to schedule a home consultation.